The Social Security Administration is opening up separation incentives to nearly every job category across its workforce, with about one in four employees eligible to leave. The largest independent federal agency announced the early retirement offer in a June memorandum obtained by Government Executive. All employees who wish to take advantage must separate by Sept. 1. Only the agency’s 1,600 administrative law judges are not eligible to accept the offer. Employees must have 20 years experience and be at least 50 years old, or have 25 years of service and be any age, to qualify under the Voluntary Early Retirement Authority. About 15,000 of SSA’s 62,000 employees meet those criteria, according to data maintained by the Office of Personnel Management (about 7,300 of whom are newly eligible to retire due to the early retirement offers). President Trump through executive order and the Office of Management and Budget through subsequent guidance directed agencies to develop plans to trim their workforces, including through requesting buyout and early retirement authority. SSA joins the Environmental Protection Agency and the Interior Department in offering separation incentives this year. Dorothy Clark, an SSA spokeswoman, said there is no limit to the number of employees who can accept the offer. She added the agency proposed the incentives to avoid involuntary relocations. 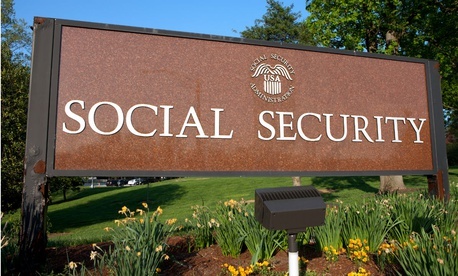 SSA has for years warned of the cumulative effects of sustained cuts at the agency, saying last year congressional proposals would have caused delays in retiree benefit processing, a spike in the backlog of disability claims, reductions in field office hours and longer wait times for those calling Social Security for customer service. It also predicted furloughs of up to two weeks for employees and the shuttering of service locations. The agency instituted a hiring freeze in May 2016 in advance of its fiscal 2017 appropriations, which carried over into the moratorium Trump issued upon taking office. SSA lifted its freeze after a full year when Trump ended the governmentwide order this past May, but began hiring on a limited basis and only for direct service positions. The agency has shed about 10 percent of its workforce since 2011, when it had nearly 69,000 employees. Though the agency still maintains a network of 1,250 offices across the country to serve people in person, SSA has shuttered more than 60 field offices and 500 mobile offices since 2010. It backed away from a proposal to close many more field offices in favor of telephone and digital services, and last year warned of dire consequences without a bigger budget. A measure approved by the House Appropriations Committee would appropriate $12.5 billion to SSA in fiscal 2018 for administrative expenses, the same funding level as the agency received for fiscal 2017. This story was updated with comment from SSA and additional information regarding the number of employees eligible for early retirement.